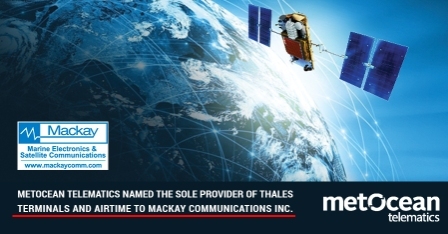 MetOcean Telematics Named the Sole Provider of ThalesLINK Terminals and Iridium Certus Airtime to Mackay Communications - Mackay Communications, Inc.
and Iridium Certus Airtime to Mackay Communications Inc.
Dartmouth, NS, Canada (November 21, 2018) MetOcean Telematics has been awarded a global distribution agreement to become the sole provider of Thales LINK terminals, and Iridium Certus satellite airtime to Mackay Communications Inc.. Mackay Communications (dba Mackay Marine) is a global leader in providing satellite communications and marine electronic solutions. This agreement will provide them with enterprise-grade broadband functionality and access to Iridium’s next-generation satellite network. Thales VesseLINK and MissionLINK terminals provide global communications coverage, anywhere in the world. Unaffected by weather or landscape, they operate using Iridium Certus broadband services over a network of 66 satellites that cover 100% of the globe. The terminals utilize this robust network to provide highly reliable, mobile and essential voice, text and web communication for fixed sites and mobile users. “This is the beginning of a synergized partnership moving forward and MetOcean Telematics is extremely pleased to offer this feature-rich solution to Mackay Communications’ global channel,” said Jonathan McArthur, Business Development Manager, MetOcean Telematics. Mackay Communications Inc. was founded in 1884 and is based in Raleigh, North Carolina with sales and service locations in the United States, Latin America, Asia, Europe and Canada. 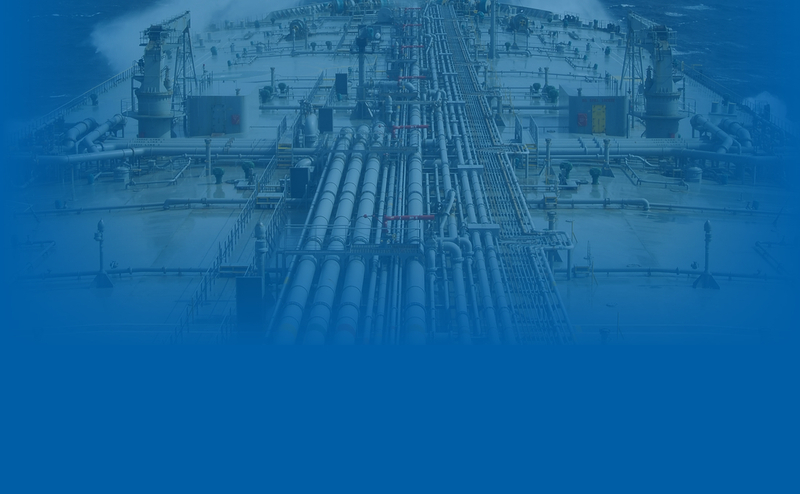 They offer electronic products and services to marine, offshore, and land-mobile industries, as well as commercial and governmental clients in North America and internationally. MetOcean Telematics corporate headquarters, including the research and development and production facilities, is located in Dartmouth, Nova Scotia, Canada. The company develops and manufactures state-of-the-art data acquisition and end-to-end telematics solutions, with a focus on niche MetOcean solutions and custom Defence and Security products. As a prominent global Iridium Satellite, Value-Added Reseller focused on hardware solutions, data services, and support, MetOcean Telematics is a leader in the satellite communications industry. For additional information about MetOcean Telematics or any of its products, please visit www.metocean.com or contact: sales@metocean.com.